Rochester, NY – Semrock has opened the door on a new high-volume manufacturing facility for its industry-leading optical filter products. This new facility is capable of producing tens of thousands of spectrally complex, sputtered optical filters per year for high-volume OEM customers. This new facility builds on Semrock’s industry-leading optical filter manufacturing capability and extends it to customer opportunities in the emerging diagnostic and point-of-care healthcare markets where high-volume, miniaturized optics will be an enabling technology. 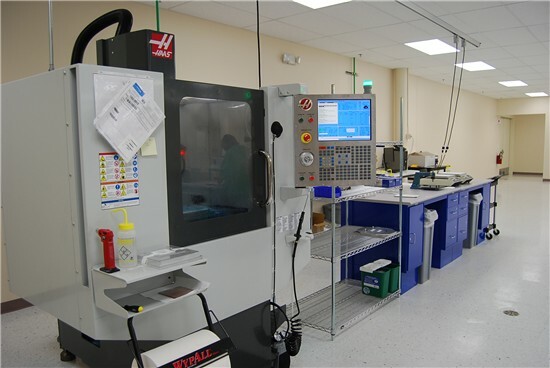 “We have taken our advanced optical design and manufacturing capabilities to the next level with this new facility. Products from this new facility will have the same Semrock performance and reliability that customers expect, but in much higher volumes than ever before and at the right price points for the diagnostic market. We offer the most spectrally sophisticated optical filters in the industry which enables superior performance in customer instrumentation, such as faster measurement times, reduced downtime, repeatable manufacturing and lower optical component count,” said Rob Beeson, Semrock General Manager. Semrock, Inc., a Unit of IDEX Corporation, manufactures optical filters that set the standard in performance and reliability for the biotech and analytical instrumentation industries, as well as innovative optical filters for more general laser and optical systems applications. All Semrock optical filters are made with hard ion-beam-sputtered optical coatings. OEM filters are manufactured in volume. End-users benefit from a wide selection of standard catalog products that ship from stock. Semrock’s patented and patent-pending products include its highly acclaimed BrightLine® fluorescence filters, state-of-the-art filters for Raman spectroscopy, and other unique filters for lasers and optical systems. Semrock’s innovative products, made possible by combining modern sputtered coating techniques with Semrock’s proprietary volume manufacturing technology, are covered under a five-year warranty. Founded in September 2000, Semrock is based in Rochester, New York, a well-known center of optics, and has sales offices throughout the United States. In October 2008 Semrock became a Unit of IDEX Corporation and the first company in the IDEX Optics & Photonics platform.